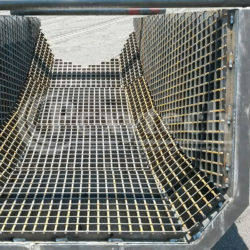 Poxytech Impact grid installed at high impact and high wear areas. 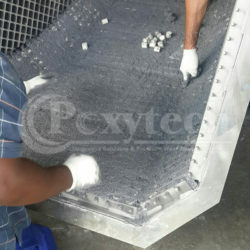 20-40 mm alumina ceramic cylinders installed in mentis grating welded to surface and covered with Poxypaste WCS102. 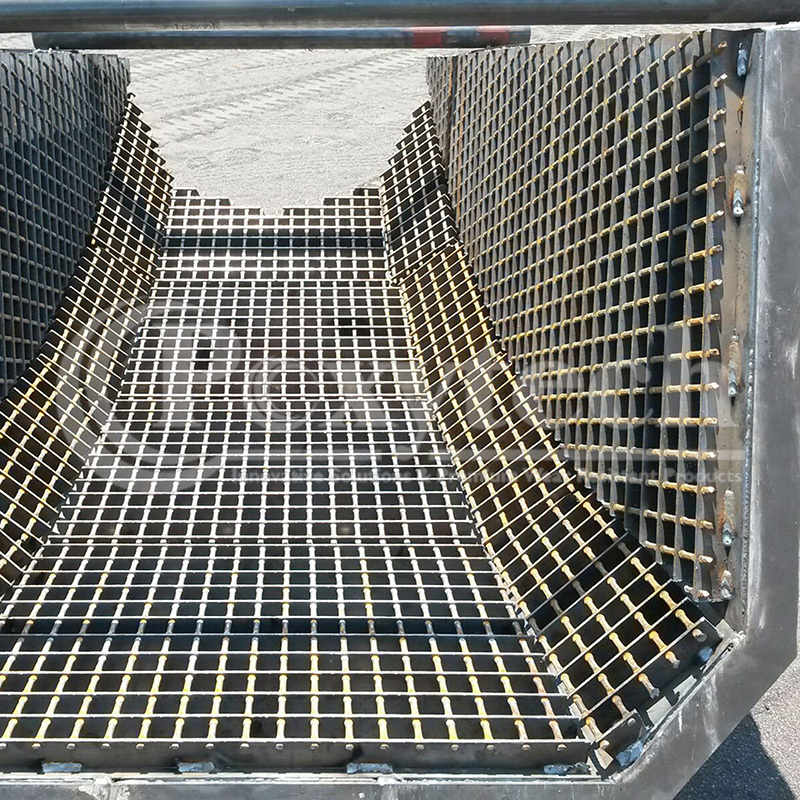 Poxytech Impact grid can be pre manufactured to customer specifications and bolted or welded to steel surfaces where high impact and high wear is present. 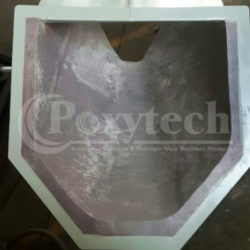 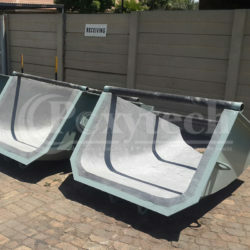 Poxytech range of high quality products approved by all the major mining houses in South Africa and various Africa countries prolongs the life of your capital equipment and minimize downtime and capital expenditure. Poxytech products are flameproof and suitable for underground applications.